Tonight the Mongolian State Academic Theater of Opera and Ballet brought Carl Orff’s ‘Carmina Burana’ to Mongolia. The performance included three soloists, a small children’s choir, full orchestra, and adult choir with over 70 members. 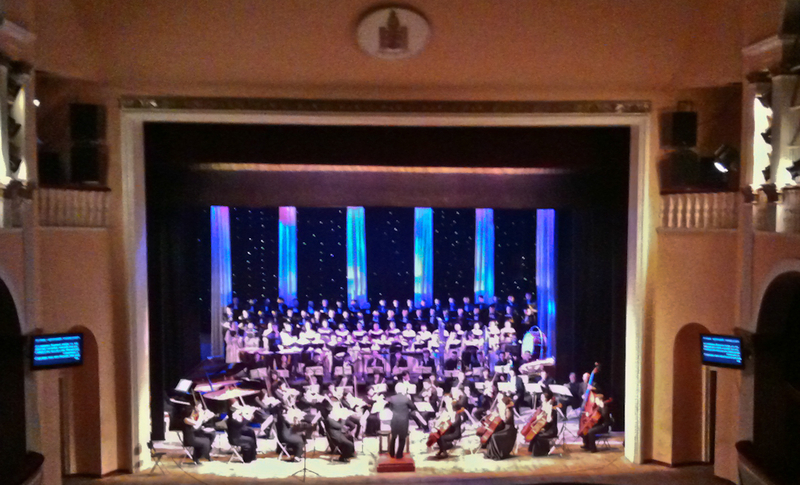 The audience was a mix of Ulaanbaatar elite, music students, and a handful of Westerners.